Leeds, UK - Newman Stewart Ltd, a leading executive search and management selection company based in Yorkshire, has this month been awarded three different ISO certifications by the British Standards Institute (BSI) including ISO 27001:2013 (information security), ISO 14001:2015 (environmental management) and ISO 9001:2015 (quality management). By meeting the extensive criteria of these standards, Newman Stewart proves its commitment to protecting sensitive information, the environment and consistently delivering quality outcomes for clients, candidates and employees. 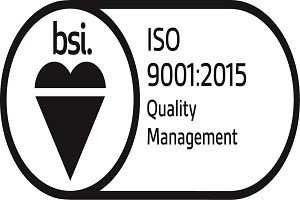 The world’s most popular quality management system standard, ISO 9001:2015 helps businesses prove their ability to consistently provide products and services that meet customer applicable statutory and regulatory requirements. Obtained through thorough extensive external audits performed by BSI, a world class ISO certification organisation and an independent accredited registrar company, the certification aims to enhance customer satisfaction through the effective application of a company’s system, including processes for continual review and improvement. “Being rewarded with these two certifications by BSI, as well as for our environmental management system, is a testament to Newman Stewart’s dedication to keeping all client and candidate information secure, as well as the quality standards of our service and consideration for the environment.” adds John Tilbrook. Newman Stewart, an APSCo and Association of Executive Recruiters member, is a leading executive search firm, delivering high performing candidates to high profile and difficult to fulfil assignments. With a vast proven track record of success both nationally and internationally, they are the recruitment partner of choice to many blue chip, medium and small organisations.